TransCure bioServices will attend and give a pitch at I4ID2018 ! The first one would be to discover TransCure bioServices’ by meeting and speaking with our Dir. Business Development Romain GRET and our CSO, Sebastien Tabruyn. 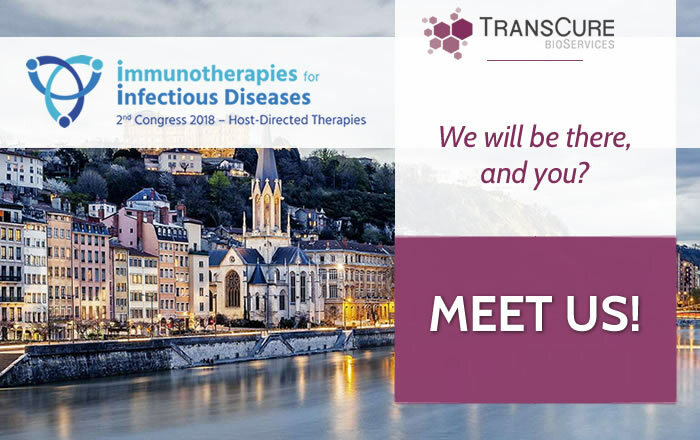 The purpose of I4ID2018 and is two-day congress is to foster interactions between pharmaceutical industries, research labs, service providers, and technology developers, and thus promoting the use of immunotherapies for prevention and treatment of infectious diseases. For this year edition I4ID2018, the Scientific Committee has set-up a stimulating program focusing on Host-Directed Therapies (HDT) to fight infectious diseases. HDT is a new emerging alternative approach to treat infectious diseases and overcome the problem of antimicrobial resistance and the lack of broad-spectrum virus-targeting drugs that we still encountered nowadays.